WASHINGTON (AP) —Depression, teens and marijuana are a dangerous mix that can lead to dependency, mental illness or suicidal thoughts, according to a White House report released Friday.A teen who has been depressed at some point in the past year is more than twice as likely to have used marijuana as teens who have not reported being depressed — 25 percent compared with 12 percent, said the report by the White House Office of National Drug Control Policy. 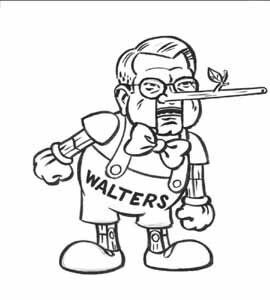 Gotta love Walters’ remark about hygiene — which he appears to have taken almost verbatim from Above The Influence’s hateful propaganda film, Stoners In The Mist. Seriously though, it goes without saying that this so-called White House ‘report‘ (I use the term euphemistically here, given that said ‘report’ is under five pages and consists mostly of bar charts rather than text) is much ado about nothing. In fact, the only newsworthy aspect of this supposed ‘study’ is that the lapdog mainstream media gave it any coverage at all. Perhaps the most impressive evidence against the cause-and-effect relationship concerns the unvarying rate of psychoses across different eras and different countries. People are no more likely to be psychotic in Canada or the United States (two nations where large percentages of citizens use cannabis) than they are in Sweden or Japan (where self-reported marijuana use is extremely low). Even after the enormous popularity of cannabis in the 1960s and 1970s, rates of psychotic disorders haven’t increased. There is limited data suggesting an association, albiet a minor one, between chronic cannabis (primarily among adolescents and/or those predisposed to mental illness) and increased symptoms of depression, psychotic symptoms, and/or schizophrenia. However, interpretation of this data is troublesome and, to date, this observation association is not well understood. Identified as well as unidentified confounding factors (such as poverty, family history, polydrug use, etc.) make it difficult, if not impossible, for researchers to adequately determine whether any cause-and-effect relationship exists between cannabis use and mental illness. Also, many experts point out that this association may be due to patients’ self-medicating with cannabis, as survey data and anecdotal reports of individuals finding therapeutic relief from both clinical depression and schizotypal behavior are common within medical lore, and clinical testing on the use of cannabinoids to treat certain symptoms of mental illness has been recommended. That said, however, the most practical public policy to address these concerns is not criminal prohibition, but regulation. If there does exist a minority population of citizens who may be genetically prone to potential harms from cannabis (such as, possibly, those predisposed to schizophrenia), then a regulated system would best identify and educate this sub-population to pot’s potential risks so that they may refrain from its use, if they so choose. Maybe this guy can the drug czar. he couldn’t be any worse! The biggest lie of the war on drugs is that it protects American children when in fact it exposes children to anarchy and drugs. Which is more likely to keep drugs out of the hands of under age Americans? Amoral drug addict dealers and predatory drug gangsters? Or responsible regulated and licensed members of the community who share the morals and values of the community about protecting children from pre-mature exposure to drug use and the potential of drug abuse. IF the drug warriors truly wanted to protect children they would bring the full regulatory power of government to the fight rather than creating a regulatory vacuum with prohibition that fosters anarchy and subsidizes easy access to children by drug addicted predators. This is so true! I am a high school freshman, and lately, the teacher showed us this film that stated cigarettes are more harmful than marijuana. If I remember correctly, don’t tobacco and marijuana have the same amount of carcinogens? Cigarettes have tar, rat poisoning, nicotine, and all sorts of other poisons in it; marijana just has THC. The drug czar is definitely lying. Something needs tyo be done to prevent teen use of drugs. I started using when i was a freshman on campus and it took alot of effort, time and resources to get me straight..i wouldn’t wish that on anyone. how does the drug Czar sleep at night? Hemp can also save dwindling forests, it is by far a better replacement for making paper. Hemp is a better industrial alternative in countless applications, including automotives, textiles and pharmaceuticals the possibilities are endless. The war on drugs destroys the economy and peoples lives.